At 5’2”, I definitely love the extra height that heels give me. I own one pair of neutral flats and wear on the daily commute. I switch to heels when I get to work. After 2 years, there is literally a hole in the back of the right shoe. I was on the lookout for a replacement before winter approaches. 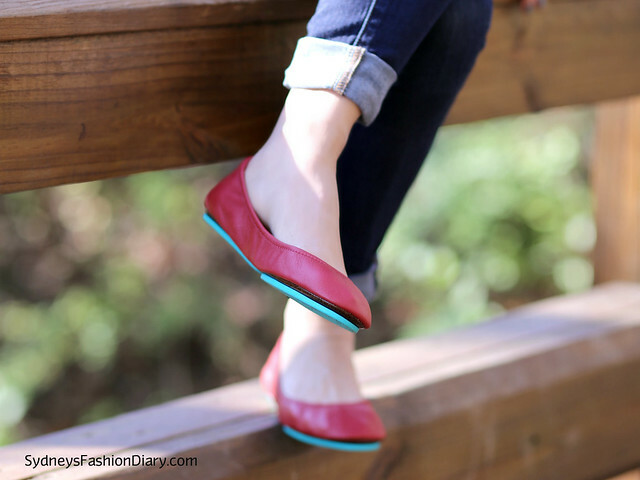 I've heard so many great things about Tieks flats and decided to give them a try. First problem – so many color to choose from. I spent the longest time debating over what color to order. I ended up getting the classic version in cardinal red (also available in prints, patents and vegans). I figured, since I wear mostly neutrals, they will add a bit of interest to my outfits. Can we just take a moment to appreciate how gorgeous the packaging is? Inside the box, the flats were folded up all nice and neat. Each pair comes with its own pouch which is ideal for travel. Not only are they super practical, but they are stylish and versatile as well! 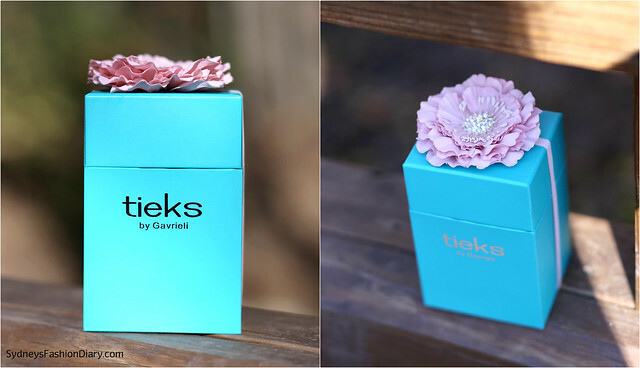 Who doesn't love the signature Tieks turquoise soles, right? I received recently and haven’t had a chance to wear them for a long period of time. However, they are comfortable, don't give me blisters and feel broken in at first wearing. They really do mold to your individual feet and get more comfortable with each wear. Shipping was free and incredibly fast. I placed the order at 9:00 a.m and got a shipping confirmation 4 hours later. They arrived at my door step within 2 days. As far as the size goes, they run true to size (only available in full sizes). I vary between size 6.5 and 7 and went with a size 7. They fit my feet beautifully and didn't require any break-in period. 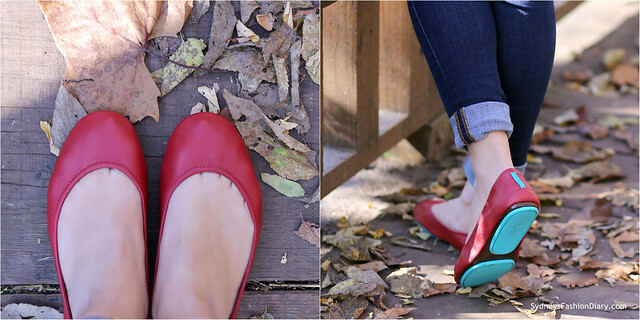 I am head over heels in love with these fun flats. I know they're somewhat expensive for a pair of flats. However, I truly believe they're worth the price tag (considering how well made they are). As I get older, there is nothing I appreciate more than a good pair of comfortable shoes. I know my feet will thank me later. Thanks for the detailed review! 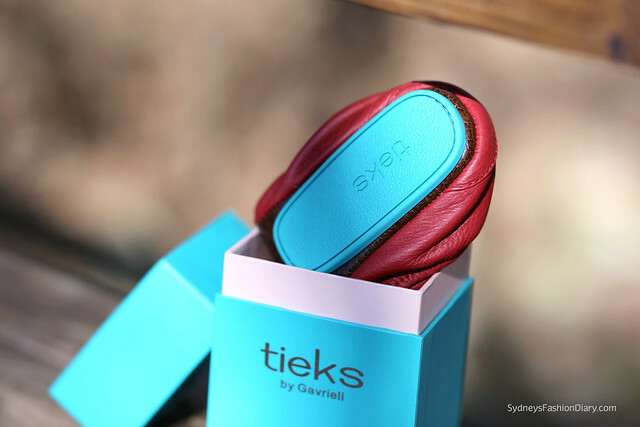 I first heard found out about Tieks through Instagram (just like how we first discover a fashion trend nowadays!) and looked them up on their website. I was impressed by their color selections, but I could not tell what is the key difference between Tieks and other flats that sell for a third of the price, well besides the beautiful soles. Do you think the comfort really justifies the prize tag? If so, I'd love to give them a try one day. Great review - I checked out the site and its pricey eep~ but possibly one day!